CES 2017, the exhibition which is going on in Las Vegas is an awesome display of electronic goods and gadgets which can soon take your sleep away. For the gizmos and the gadget freaks, CES heralds the innovation of some of the best new gadgets which will henceforth hit the markets and become available to them. If you’re eager to know about which is the latest laptop for 2017 for which drone will help you with fishing, there are lots that you can learn through this post. Read on. This is one of those massive gaming laptops which you had been waiting for long. It has got a 21-inch display and it packs all the superfast Nvidia and Intel silicon and you can shake a joystick at this lovable design. This laptop uses the eye-tracking sensor and lets gamers to recognize enemies and take action just by gazing at the icons found on the screen. The Predator 21X will be found in North American stores and they will initially be priced at $8,999. Hey wait, Razer is coming forward with the first automatic triple display laptop which is going to be a revolutionary gadget for the gamers. This laptop from Razer, which is a company that’s revered for light gaming and thin laptops) has 3 well-managed 17.3 inch 4K screens into a single piece of hardware. Nvidia GeForce GTX 1080 GPU powers the graphics. How would it be if there was a drone which could help you with fishing? Well, this year’s CES has also given a niche to this extremely powerful underwater drone which is named PowerRay robot. It can dive into water to as deep as 98 feet underwater and you can send data and images up to 262 feet. This drone even has a light which helps in luring fishes. If you use the app on your phone, you can even view real time videos and photos on your phone. There is no price attached to this yet and you can set your orders since 27th February, 2017. So, what are you waiting for? In case you’re waiting to buy the latest laptop, make sure you read a worthy laptop review of the model that you wish to choose so that you may know the features and the specifications. 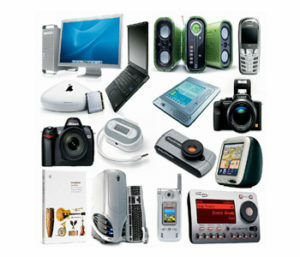 Know more about upcoming gadgets here.